Part Number LCS433. 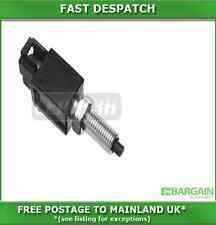 LEMARK CRANK SENSORS FOR MAZDA XEDOS 6 1.6 1993-1994. Model XEDOS 6. Make MAZDA. Year 10/1993-05/1994. Drive Front Wheel Drive. Quantity 1. Width (mm) 79. MAZDA 626 IV (GE) 1992-1997 MX-6 (GD)(GE) 1992-1997 XEDOS 6 (CA) 1992-1999. XEDOS 6 (CA) 1992-1999. 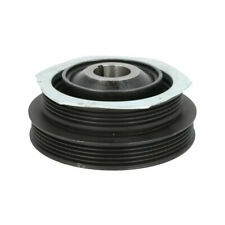 CAPTEUR ABS ARRIERE GAUCHE. 626 IV (GE) 1992-1997. MX-6 (GD)(GE) 1992-1997. MAZDA C001-43-72Y. MAZDA G06T-43-72Y. MAZDA 626 IV (GE) 1992-1997 MX-6 (GD)(GE) 1992-1997 XEDOS 6 (CA) 1992-1999. XEDOS 6 (CA) 1992-1999. CAPTEUR ABS ARRIERE DROIT. 626 IV (GE) 1992-1997. MX-6 (GD)(GE) 1992-1997. MAZDA C001-43-71Y. MAZDA G06T-43-71Y. Part Number LBLS051. LEMARK BRAKE LIGHT SWITCHES FOR MAZDA XEDOS 6 2.0 1992-1994. Model XEDOS 6. Make MAZDA. Year 01/1992-05/1994. Number of Valve(s) 4. Drive Front Wheel Drive. Length (mm) 75. Part Number LBLS051. Model XEDOS 6. Make MAZDA. Year 08/1992-05/1994. Number of Valve(s) 4. Drive Front Wheel Drive. Length (mm) 75. Width (mm) 50. Part Number LBLS051. LEMARK BRAKE LIGHT SWITCHES FOR MAZDA XEDOS 6 2.0 1994-1999. Model XEDOS 6. Make MAZDA. Number of Valve(s) 4. Year 06/1994-10/1999. Drive Front Wheel Drive. Length (mm) 75. Part Number LBLS051. Model XEDOS 6. Make MAZDA. Number of Valve(s) 4. Year 06/1994-10/1999. Drive Front Wheel Drive. Length (mm) 75. Width (mm) 50. Part Number LBLS051. Model XEDOS 6. Make MAZDA. Number of Valve(s) 4. Year 06/1994-10/1999. Drive Front Wheel Drive. Connector Shape Angular. Height (mm) 75. Part Number LBLS051. Model XEDOS 6. Make MAZDA. Year 08/1992-05/1994. Number of Valve(s) 4. Drive Front Wheel Drive. Connector Shape Angular. Height (mm) 75. Part Number LBLS051. Model XEDOS 6. Make MAZDA. Year 01/1992-05/1994. Number of Valve(s) 4. Drive Front Wheel Drive. Connector Shape Angular. Height (mm) 75.